All metal detection systems are not equal and FFI Tactical is proud to carry the best available, specializing in instrumentation that can be used in difficult environments, in the presence of high-metal “backgrounds” and for scanning soils that are not magnetically cooperative. FFIT provides ground and water equipment. EBINGER hand held and walk through metal detectors are since years synonymous for reliability and efficiency. They are widely used in airports, seaports, in public events and in prisons and correctional facilities, at public events and in law enforcement and security teams. In the field of security technology Ebinger hand-held metal detectors have been known for their reliability and quality for more than 35 years. At many airports in Germany and around the world they are to be seen everywhere at the security checks for passengers. Similarly they are in widespread use with the police, in courts and in corrections as well as at large-scale events as part of the general safety measures. 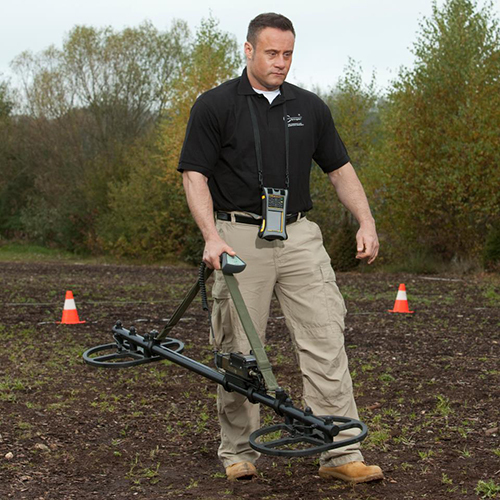 The EBEX® 410 metal detector was developed especially for forensic police work purposes and it reflects the result of intensive co-operation with professional users. Typical applications include the examination of persons and postal items, use at detention centre and prison examinations, inspections of the fabric of buildings as well as open spaces and shallow water. 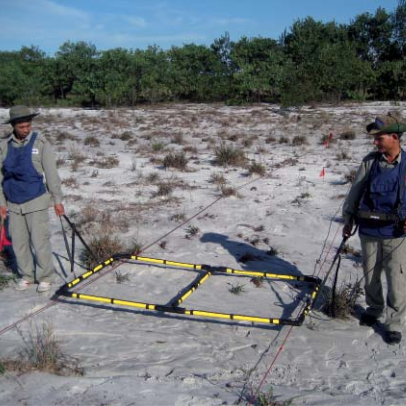 UPEX® large loop metal detectors are world renowned. TREX™ and UWEX™ The continued pursuit of perfection is the reason for the success of the active EBINGER detection technology. The TREX® system makes use of two coils which are spatially separated from each other but in the same plane. An alternating current of definite frequency flows through the transmitter coil. 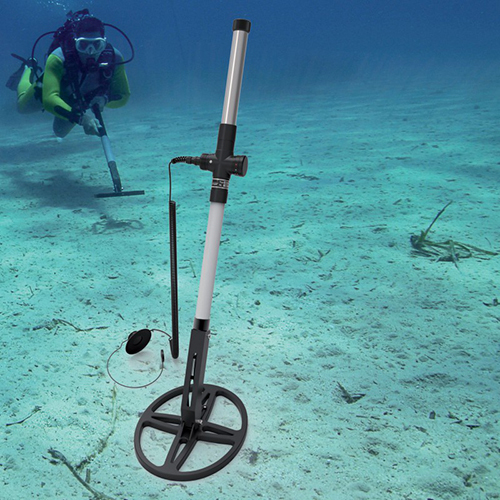 Despite its small size and search head this handy and simple-to-use underwater metal detector offers an impressive detection performance and outstanding resolution of small metal objects buried close to each other. The UWEX® 720 C detects ferrous and non-ferrous metals and alloys. 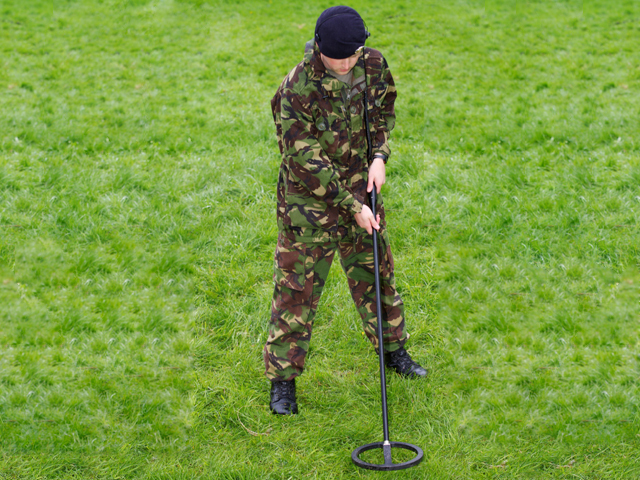 The limits of detection range depend on the size, distance and kind of metal object to be detected. 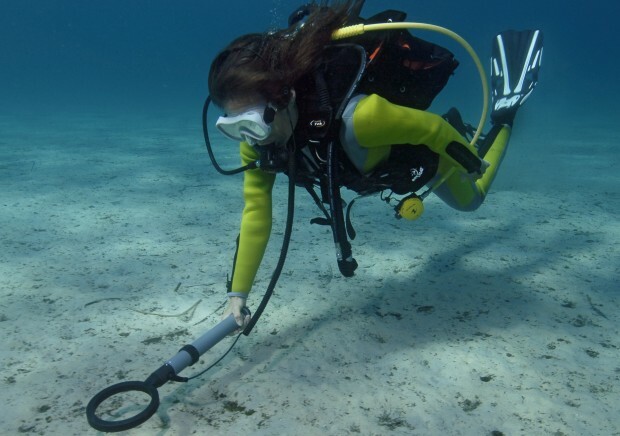 The UWEX® 722 C is a highly sensitive metal searching device for use underwater and on land. According to the detection job it can be operated in the short or in long version. It is pressure tested up to 60 m. Operating in saltwater will not interfere with the proper functioning of the device. EBINGER metal detectors represent trend-setting technology, reliability and prime quality in the field of underwater metal detection. The UWEX®725 K represents the latest, most versatile underwater metal detection system. 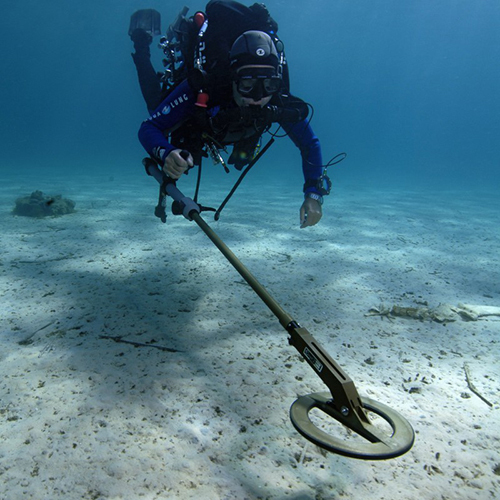 The search system can be offered in individual configurations to meet a wide range of customer needs in underwater search for objects with metal content. The proven UWEX® range is extended by the new UWEX® 725 DW, which meets the demand in professional detection tasks. 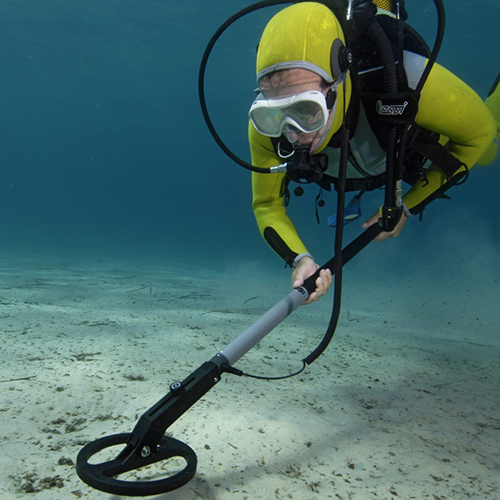 The UWEX® 725 DW offers important advantages compared to conventional technique relieving the diver and improving productivity noticeably. Small scrap can be faded out electronically via various sampling delay steps. The UWEX® 725 PA works in accordance with the pulse induction principle whereby it provides acoustic object information. The index PA stands for Pulse Analyzing System. This analyzes and indicates the decay times or respectively the signature of the metal objects detected. The MAGNEX® 130 B is a further development of its well proven forerunner. The search device is of compact modular design and lightweight. It is easy to operate and simple to learn. 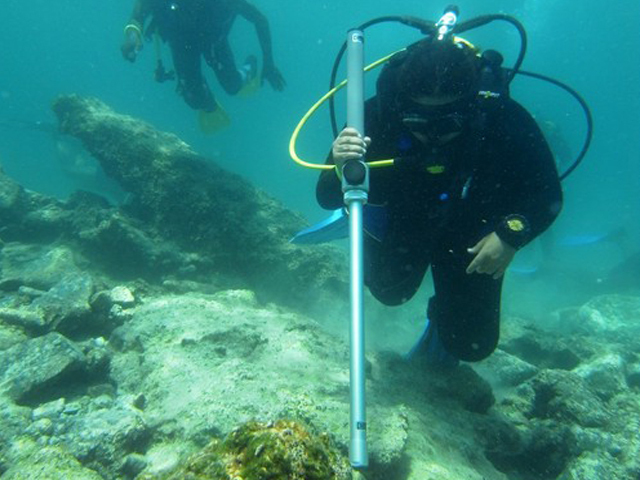 MAGNEX® 130 B is used to locate ferromagnetic objects buried underwater on or in the seabed. Typical targets are bombs, shell, mortars, sea mines, parts from ships or entire wrecks. EBINGER detection equipment has proven its worth during many years of field use under adverse working conditions. 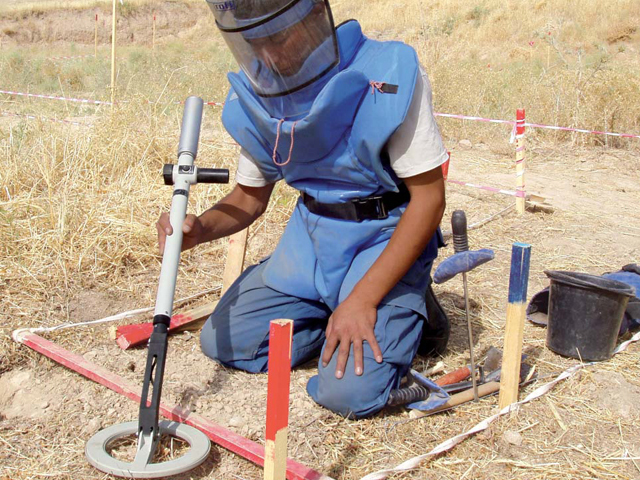 Demining and bomb disposal technicians appreciate the extremely robust design and the good detection performance of the locators on minimum amount of metal mines or shallow buried UXO. 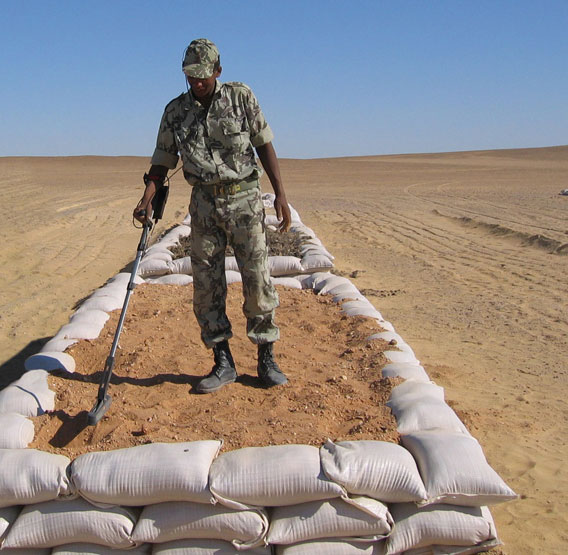 The TREX® 204 M is a modern variant of the EBINGER „hockey stick probe“ that was first put to use for the detection of explosive ordnance 40 years ago. The new and further developed probe concept of the TREX® 204 M (as accredited by BH-MAC) permits a pinpoint location of metal objects, which are concealed in difficult to access or stony terrain, in furrows and trenches, channels or undergrowth. Mobile Bluetooth-technology-based PDA data recording system for various sensor types with one to six recording channels. Data recording with real-time display. Ruggedised and waterproof version, suitable for all environments, complies with MIL-STD 810 requirements. 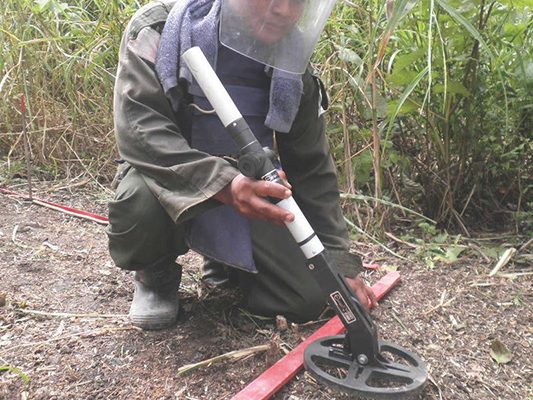 EBINGER metal detectors are world renowned and proven in the field of humanitarian mine action. 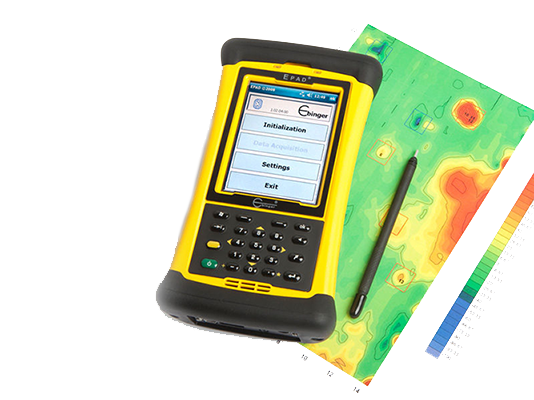 The development of TREX® 210-3 is based on the awareness, that in case of cooperative and non-cooperative soils the CW operation offers specific advantages compared to the PI technique (measurements in time domain).